I'm been making progress with my 35 at 35 list... 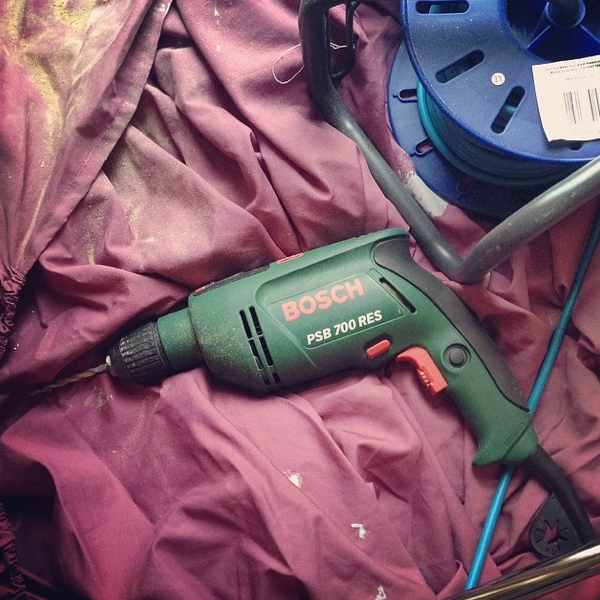 I'm now feeling confident to score off 'Learn how to use a power drill properly and improve my DIY skills'. 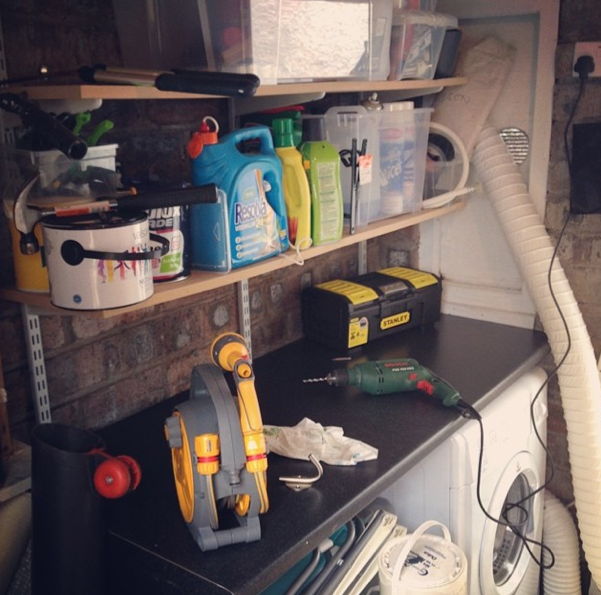 I've been doing a lot of DIY in my new house, and my skills have improved dramatically (I think so at least!). When I first moved in, I put up a hook but ended up with it being squint :-/ Just as well it's in a cupboard! Since then I've put up mirrors, shelving, more hooks, a Roman blind, a hanging basket in the garden and even a curtain pole. I'm getting better and better. 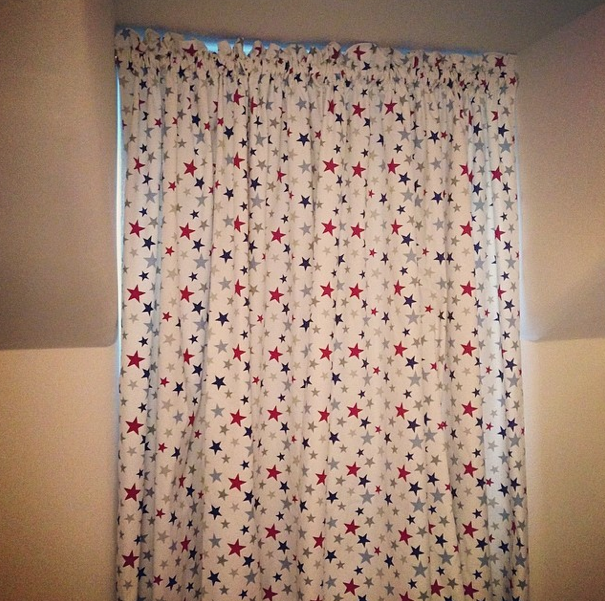 The Roman blind I made and fitted! 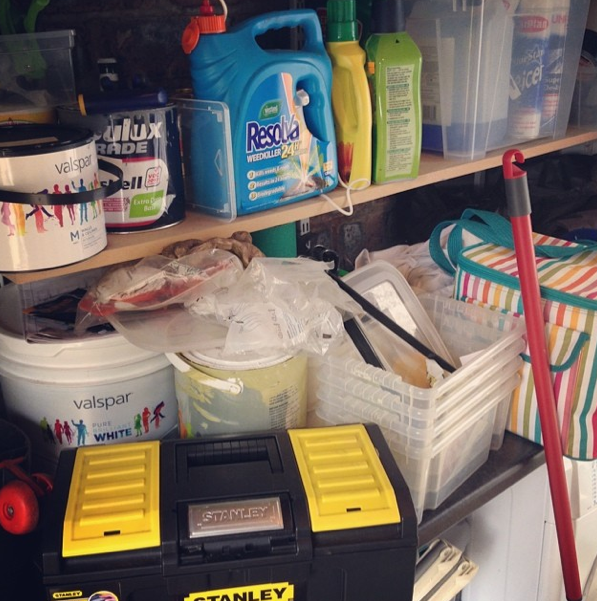 I've also put up a load of hooks in my out house/shed (whatever you want to call it!) and have managed to get the place a lot more organised! My dad gave me a lesson on drilling through ceramic when I was at the old house. I was putting some holes in the bottom of a ceramic pot so that it could be used in the garden for plants, but the same principle would apply for tiles. You need to choose your drill bit wisely. I remember the first time I tried to drill into a solid brick wall with a standard drill bit, and struggled for ages to figure out what I was doing wrong because I was getting nowhere fast. I swapped my drill bit for a masonry drill bit (thank you B&Q) and in seconds I had managed to make a sizeable hole in the wall!! For tiles, you ideally need a diamond-tipped drill bit. The most difficult part of drilling to ceramic is to break through the surface. The drill tends to move about the surface rather than bite into the tile and bore through. My dad taught me to put a cross over the tile in the spot to be drilled using masking tape. Once the bit is started, it's just a case of slowly drilling until you make it all the way through.